New Sections Released in Stage P! 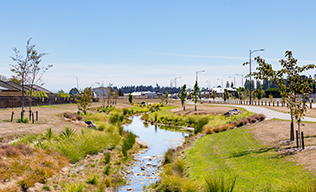 If quality of life is what you’re after, Prestons Park has it in spades. If you’d like accessibility to all the attractions our new city of Christchurch promises – no problem, we have that, too. Prestons Park truly has it all – it’s a world away, yet close to the action. With the planning approved and the infrastructure and services now all in place – roads, drainage, ultrafast broadband and landscaping to name but a few – the vision is fast becoming reality. And, there’s something for everyone at Prestons Park. Whatever your age, stage or needs, there’s a property solution that’ll be just perfect – we’ll have apartments with stellar views, large family homes with their own sizeable gardens, and everything in between. Be reassured, too, that although Prestons Park is TC1 land, all prospective buyers will get individual geotech reports as a matter of course, for their complete peace of mind. Why not come and get a feel for what’s on offer at Prestons Park? 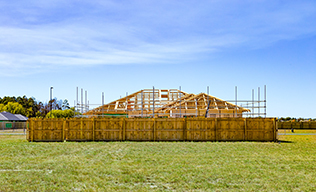 Our showhome village is growing to a total of 24 showhomes which will be the largest showhome village in Christchurch. Our Preferred Builders have been carefully selected to ensure that we have a good variety of styles suited to all budgets and tastes. There are just 835 lots which will be developed prudently in stages over the next four years – enough for a thriving community, but not too many to be crowded. The energy and excitement are mounting – why not come and be a part of it? 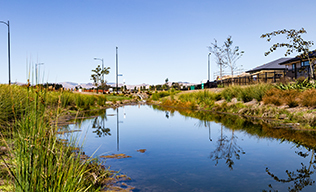 Hundreds of families are choosing to raise their families in this exciting new neighbourhood. This website contains a wealth of information to assist you so please take the time to browse at your leisure. Prestons Park is only minutes away from golf courses, beaches, Bottle Lake Forest and The Palms, Northwood and Northlands Malls. Cathedral Square and Christchurch International Airport are only 15 minutes away. Our section sizes cover the full spectrum with four different density options. We are sure to have an option which suits your requirements. Our nine showhomes feature a number of leading building companies who have chosen to support Prestons Park.